ST LEONARD’S resident Peter Ratcliffe was 19-years-old when a severe car crash changed his life forever. The former roof tiler was driving down the Geelong-Bacchus Marsh Road near Anakie when he had a head on collision with another driver in 2014. Mr Ratcliffe, who was not at fault, had to undergo three blood transfusions while emergency services teams worked for an hour and a half to free him. He suffered multiple broken bones and severed a major artery in his right leg. Mr Ratcliffe was in a coma for quite a few days and remained in intensive care for two weeks. During his rehabilitation, he has had to endure hours of physiotherapy and countless operations. He is just one of the thousands of Victorians impacted by road trauma each year, and the TAC (Transport Accident Commission) client says he could not have gotten to where he is today without the insurance body. Shine Lawyers’ Geelong Senior Solicitor Laura Paterson said Mr Ratcliffe’s case displayed first-hand what sort of impact road trauma had on victims and their families. “Peter was simply going about his business, abiding by the road rules when he was tragically struck head-on by an offending motorist who crossed on to the wrong side of the road,” Ms Paterson said. TAC estimates that road trauma is costing Victorians more than $6 billion annually, and nationally, up to $30 billion a year. Motor vehicle crashes across the Geelong region have ended up costing taxpayers up to $50 million in TAC claims alone over a five-year period. 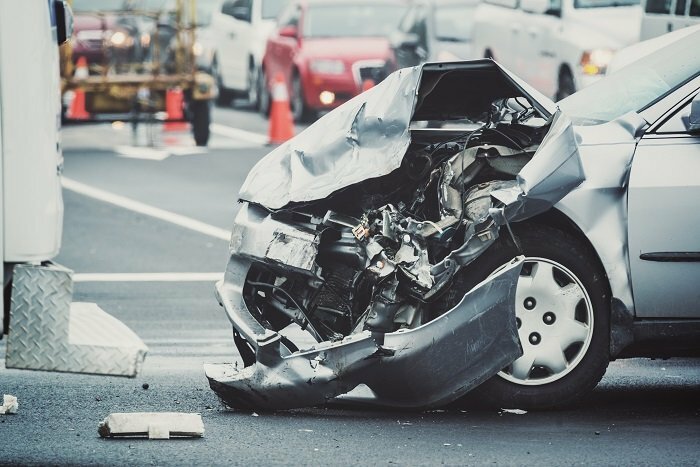 Car accidents in the Greater Geelong region resulted in 1149 injury hospitalisation claims to TAC in the five years leading up to January 2017. Over 1000 claimants were hospitalised for 14 days or less with over 130 people remaining in hospital for more than two weeks. TAC Chief Executive Joe Calafiore said the figures highlighted the burden of road trauma, from both an economic and emotional perspective. “While we have made great gains since the 1970s in road safety — those numbers absolutely tell you there is so much more that has to be done,” Mr Calafiore said. 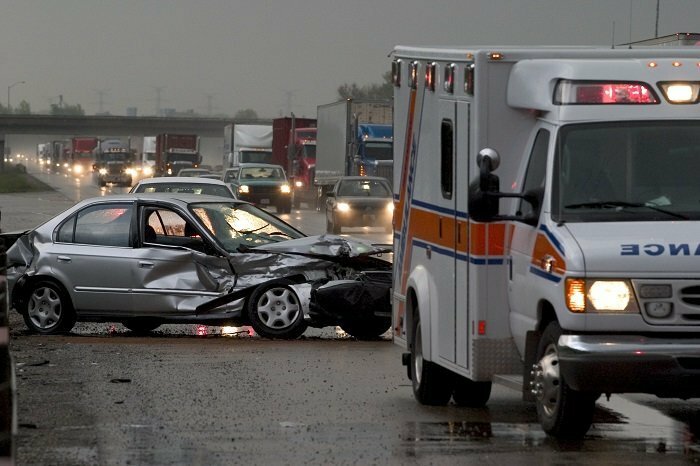 An average injury claim to TAC is over $42,000, however, the lifetime cost of the injury can vary depending on the injury type. An average quadriplegia claim over a lifespan is $7.5 million, while paraplegic care over a lifetime can average anywhere from $2 million to $2.1 million. Average amputee claims are around $300,000 for a lifetime. Type of injury data for the Geelong region was not available at this time. Mr Calafiore has pleaded with drivers to consider the after effects of road trauma. “Between 2012 – 17, there were over a thousand serious injuries, that’s over a thousand individuals. Think of the families … think of the knock-on effects,” Mr Calafiore said. Over the same five year period, 41 people were killed on Geelong roads. The majority of those killed were men — 33 men compared to eight females. The 2016 TAC Annual Claims Report shows two thirds of men drive over 15,000 km a year, compared to less than half of all female drivers. 20 per cent of men drive more than 30,000 km, while only 8 per cent of female travel that same distance or greater. Mr Calafiore said the increase in the number of people using the road, particularly pedestrians, posed a challenge to road and traffic authorities who were focused on reducing the number of road traumas. “The great challenge in the prevention space is that you have more pedestrians and more people on the roads. When you are speaking about thousands of people being injured a year — that is literally tens of millions of dollar cost to the community,” Mr Calafiore said. Works on improving some of the region’s most notoriously dangerous roads — including Geelong-Bacchus Marsh Road — will start this month. More than $40 million dollars is being invested on the road works as part of a more than $200 million state-wide investment. But Mr Calafiore said the investment in this infrastructure would not solely lead to road traumas declining. He said a recent TAC study of over 500 Victorians aged between 18 and 30 found 49 per cent of young drivers would check their phone immediately if they received a message. “This is a real wake-up call to Victorians. You see it on the roads, just how widespread mobile phone use is,” Mr Calafiore said. Written by Shine Lawyers on September 26, 2017. Last modified: April 18, 2019.